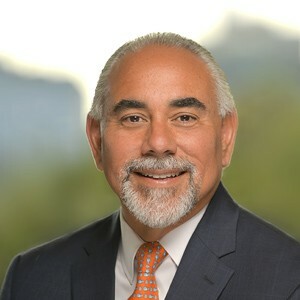 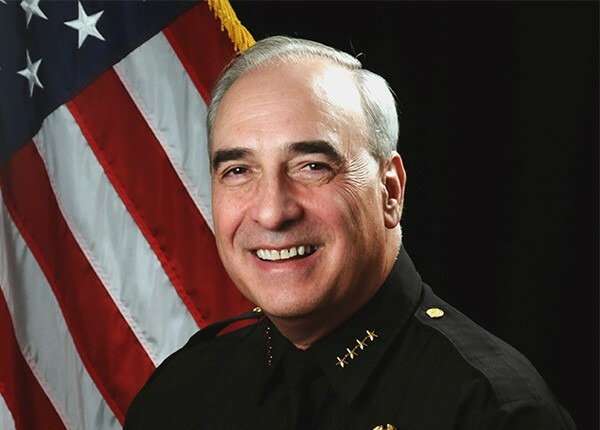 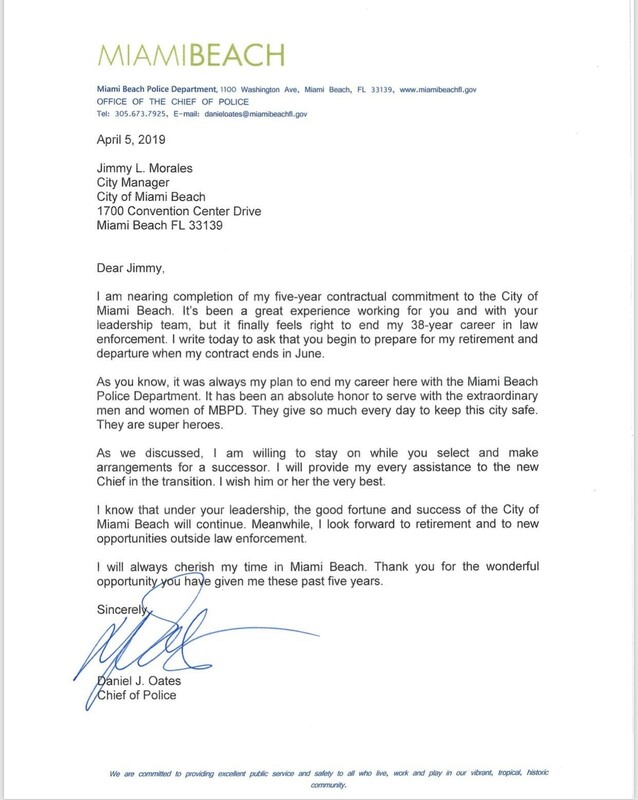 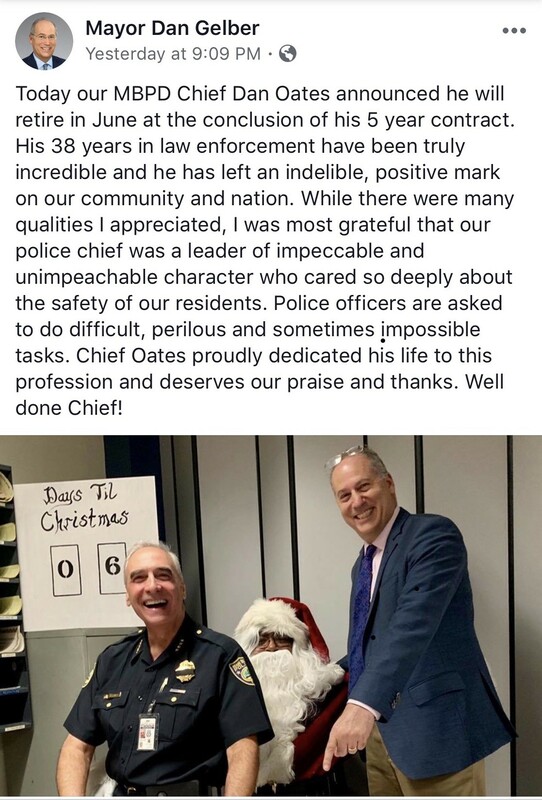 Miami Beach Police Chief Dan Oates notified City Manager Jimmy Morales yesterday of his intent to retire when his contract ends in June. 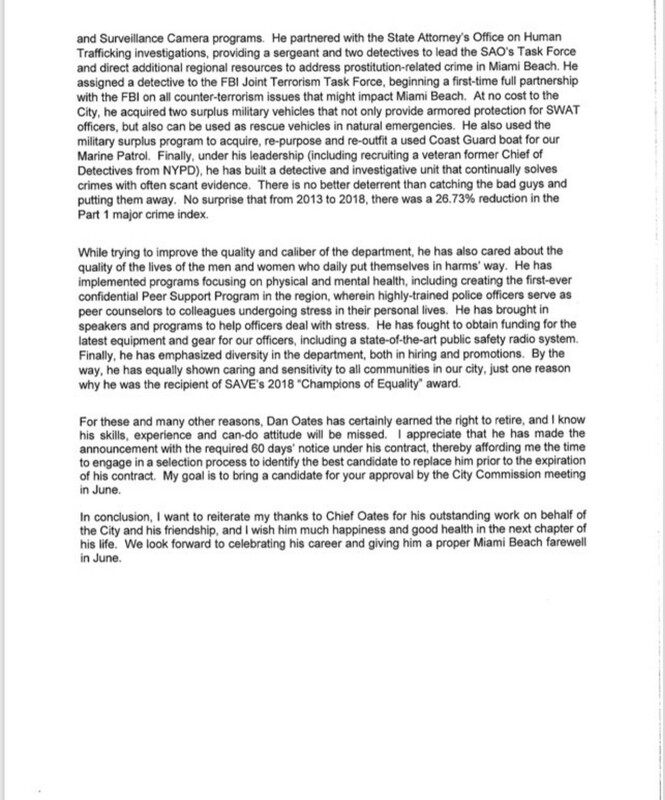 Below is his complete letter and the subsequent Letter to Commission that Morales wrote about Oates’ career in Miami Beach. 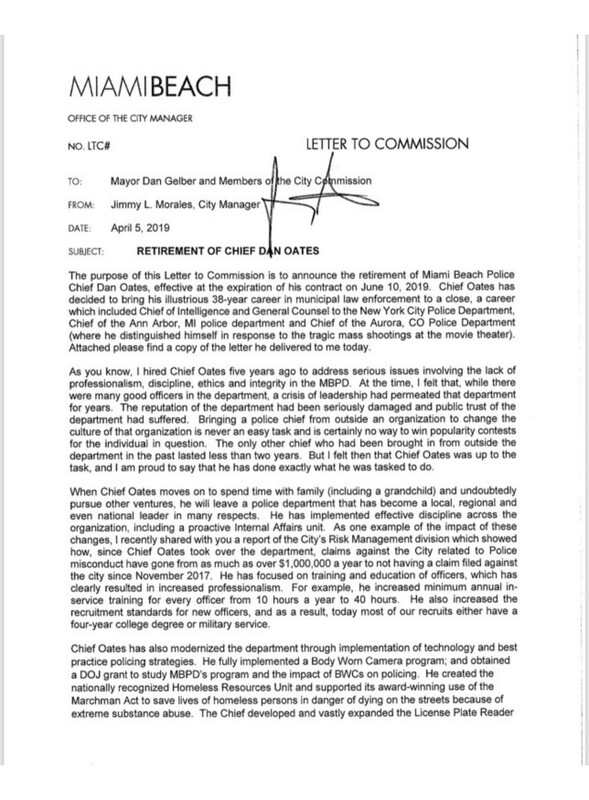 Later, Mayor Dan Gelber provide a statement on Facebook.